Wearable technology has rapidly shifted from the world of science fiction to reality with technology giants Google, Samsung and Apple all having developed their first wearable devices. 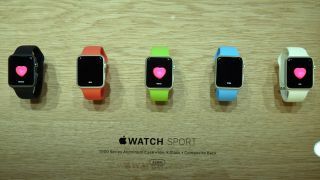 The launch of Apple's long anticipated Apple Watch is the most significant development so far for the mainstream adoption of wearable technology. Obviously, it is of interest for tech-savvy consumers and gadget fans, but wearables also have advantages that businesses can and will take advantage of. However, there's still a way to go. If you thought that BYOD caused the IT department headaches, then think again and think fast. Wear Your Own Device (WYOD) is about to take off, big time. By early 2015, wearable technology will be commonplace in every business and every organisation across the UK. However, businesses just aren't taking wearable technology seriously enough. Very few are prepared for the impact that these devices will have on the corporate network. Even the healthcare sector, the much-hailed early adopter of wearable technology, is not prepared for Apple throwing its might behind the wearable device. A recent Freedom of Information Act (FOIA) request by Ipswitch revealed that when asked specifically about managing wearable technology entering the workplace – from Google Glass to smartwatches – 83% of NHS trusts admitted to having no strategy in place. The request also found that despite having feature-rich toolsets, only 38% of trusts across the UK are able to differentiate between wired and wireless devices on their network. This is not an issue that is exclusive to the NHS. The FOIA request also discovered that the UK's universities were also vastly under-prepared for the upcoming influx of wearable devices connecting to their networks. It revealed that when asked about managing wearable technology entering UK universities, 76% admitted to having no plan in place. This is an alarming statistic as the vast majority (81%) of universities already manage 200 devices or more. Over half (54%) of universities manage over 1000 devices. A properly managed and carefully and regularly monitored network is key to prevent network bandwidth issues and protect the company from security risks, data leaks, hacking and viruses. It is vital businesses put a wearables policy in place, so staff are clear on where wearables fit into the company agenda – and at the same time provide both the necessary systems and training. IT departments need to be ready now – wearables are set to become a standard business tool – and certainly before wearables impact on network performance and security. Security is paramount. The threat posed by wearable devices is not as obvious as the one brought forth by smartphones and tablets. Network managers need to make sure they know what devices are logging into the network when, and have clear security procedures in place that employees fully understand. Businesses and organisations will also need to ensure that their policy clearly states who can bring wearables into the company and where users can log on, so they don't open the door to security breaches and privacy issues. The main thing that businesses need to remember is that policy development and planning for network improvements needs to take place sooner rather than later. Before it is out of control. Austin O'Malley is chief product officer for Ipswitch.